Summers never seem to last long enough. Not that I dislike winter, on the contrary, I LOVE winter. If I were not a runner, I would be one of those skiers chasing storms from the Northern to Southern Hemisphere searching for powder and steep lines 12 months a year. When I say summer is never long enough I mean as a runner, all the coolest, raddest, most fun trails are high up in the mountains where snow can linger long into July and August. There is a short window of time to tackle what has become a fast growing list of MUST DO mountain running objectives. A person could have worse problems obviously. 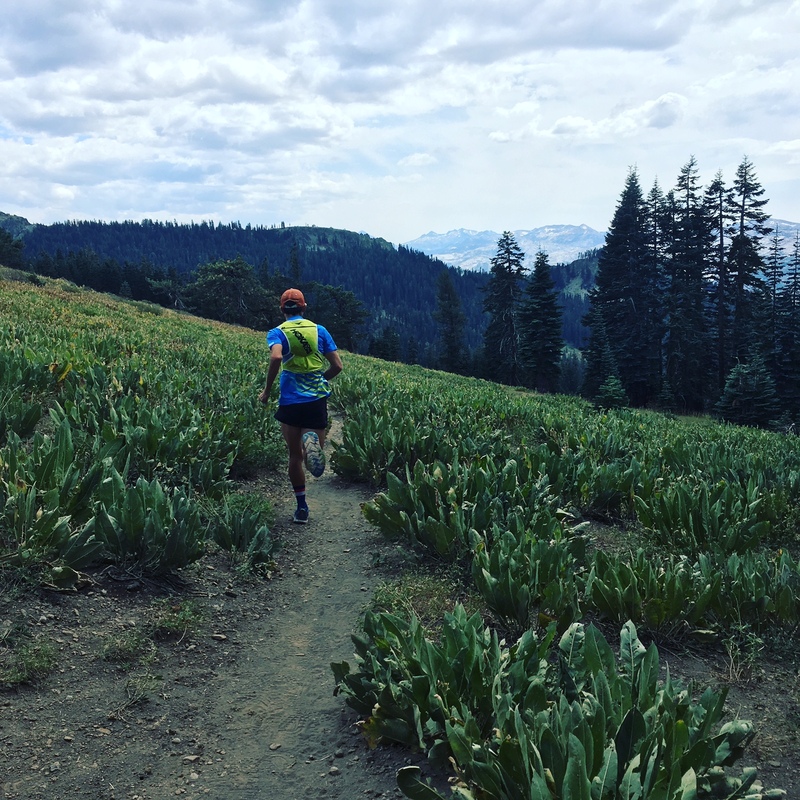 Knocking one out of the park at UTMB is no doubt on the short list of “big summer objectives”. So that is where I was this summer for the month of August. My wife, son, and I stayed in Italy and France, running and hiking in the Alps in what is slice of trail running heaven. It was an amazing time! My race on the other hand was less amazing. It was going well until it wasn’t. I could hyper analyze what happened there, believe me I have, but I don’t need to do that here. That’s not what this story is about. Suffice it to say, I made it 100k into the race this year where I dropped from the field. I mired in a fog of discontent for the next couple of days. There was no blame to place, no particular silver lining. It was September 3rd, and my mind began to turn to the rest of the summer, what little remained. I have often missed out on things I would like to do in order to put 100% of my focus on the big races. All eggs in the basket so to speak. To have any shot at racing with the caliber of runner that exists in the trail ultra scene today a guy like me probably has to unload a baker’s dozen every time out. So, many of the “dream trails” get left for another day, another year, perhaps another life. David threw out the idea of doing the Tahoe Rim Trail while we were still in Chamonix. At first I thought it a bit too much, but then my mind began to have visions of the long trail, low light sun glinting off of that big blue body of water far below. The windswept ridge lines and inexorable momentum of my body moving over the land. A trance-like state can be reached when optimism and hubris coalesce in summer’s terminal weeks. Over the following days David decided to forgo such a farce as he had finished the whole course in the Alps and was worse for the wear because of it. Instead of letting that deter me, I was invigorated, ready to take on a challenge like I’d never tried before. I decided to attempt the 170 mile trail around Lake Tahoe in the unsupported fashion. This meant I would carry everything I needed from start to finish (other than water which could be obtained from natural sources along the way). The FKT for this record is held by a guy name Sean Ranney in 51 hours 45 minutes. Two full days and nights out moving on the trail. I planned and prepped for the two weeks leading up to this attempt. The logistics while simple on the surface become complex when considering each detail. How will I sleep? Will I sleep? What food should I carry? How much water will I need to cover 40 miles of dry trail? How does a Spot Tracker work? Oh geeze, they cost $120 bucks to rent!! How many headlamp batteries is it going to take? How much snow is still left from that early season storm last week? You get the idea. By the night of September 25th I was down in Tahoe, gear packed and ready to go the next morning. There is some dual force that draws me to attempting a run like the unsupported TRT FKT. On one side, I love competing, pushing, taking a shot at doing something at the edge of my ability. On the other side, I love being in the mountains. Nearly 100% of the time when I am not in the mountains, I am thinking, planning, scheming some way to get out there. Total immersion, the pack on my back and feet on the ground, moving through the terrain, this is maybe the purest form of mountain experience one can have. It was both of these ideas that pulled me out onto this trail. By the Kingsburry Grade, which was mile 80 for me I needed to sleep. It was 2 am and every flat spot on the trail was taunting me, begging me to lay down. I wanted to make it up over Armstrong pass, around Star Lake, and the high mountains that lay between me and the 100 mile mark of the trail before I slept. Temps were quite cold however, and I thought that if I’d had to sleep at higher altitudes the cold temps and snow on the ground would have prevented any meaningful shut eye. So, I pulled out my cut up Z-rest pad, mini sleeping bag and hunkered down. I thought two hours would be sufficient, though more would have been amazing. I had covered the first 80 miles in under 19 hours, on pace for a 42 hour finish with 2 hours of sleeping. I had a fitful time in the bag, conjuring images of a bear chomping down on my skull trying to get to the jerky concealed in the pack I’d been using as a pillow. I slept some, but not much. Temps were in the 20’s and I never could get the rest I was looking for. I got up with my alarm, diligent as ever to keep moving forward. As I began the next long climb, my stomach started to sour. Eating anything created a nauseating feeling. Most ultra runners have experienced similar problems. Over the final 12 hours on the trail I consumed about 200 calories, not enough. I moved forward with a continually slowing pace as the sun was hesitant to rise over the steep walls to the East. I did not want to quit on this trail. I felt I’d set out with the kind of intentions that would bring me all the way around the Lake in the face of all types of difficulty. How can I get tougher? That’s what I am thinking sitting here at home writing this a week and a half later. At the time, being tougher did not seem like an option. I was laid out on the side of the trail, my brain craving sleep that would not come, every small incline of 50 vertical feet took what felt like extraordinary effort to get up at any pace. Downhill was no better, hobbled by my early enthusiasm, not even jogging was possible any longer. In my glycogen deficient, mentally damaged state I’d decided I’d never do anything like this again. No more long trail FKTs ever. I thought I was just not cut out for them, I didn’t have what it takes. There have been moments in many of the longer more difficult voyages I’ve been on where I decide I am throwing in the towel, giving up running and all the dreams that go along with it. It’s as if my brain cannot handle it anymore and so it must give up entirely. I made my plodding way to highway 89, set down my pack and stuck out my thumb, I was done. After a summer of competitive setbacks, arguably failures, you’d think it would be hard to consider doing it all over again but time is a funny thing, and memories are, or at least mine is, very short. The memories of the awful moments and hours dissipate every time, as if it were a given. I am waiting for the day when they stick around keeping me off the long trail. So far, that’s never happened, not even once. To me that is the best thing about running, especially very long distance running, it finds a way to bring you back no matter how low you get. Sitting here in my kitchen, summer of 2017 fading into obscurity already, I am unreasonably excited, optimistic and hopeful for what I might do in coming years. Nothing great ever happened with ease, I think I’ve learned that lesson a few times over in my short life. 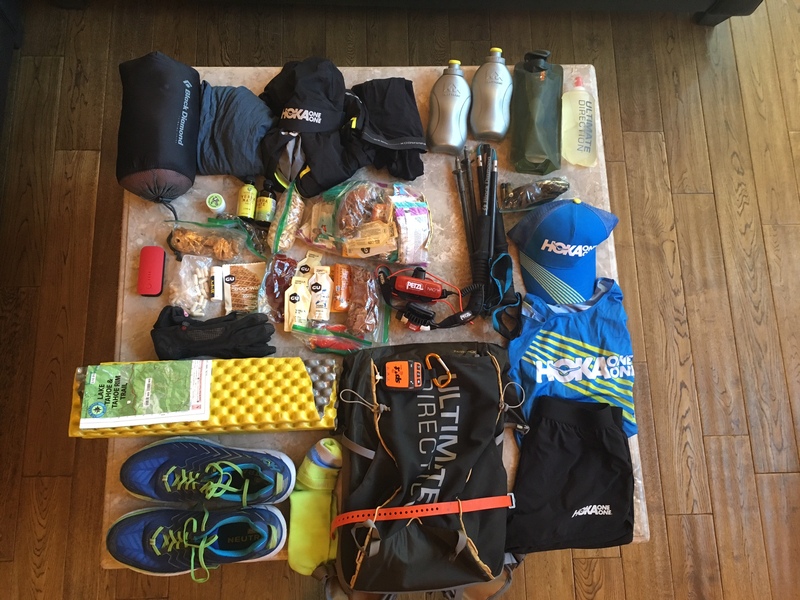 So, no, I am not quitting the long trail, not quitting my FKT dreams. I don’t know that I’ll ever quit. It seems that if I were going to it would have already happened. Soon snow will cover all the miles of trail in the high mountains, saving the promise of another season, dormant like the bear who never did get my jerky. I’d like to take this last moment here to thank a few people and companies for their continued support over this year. My sponsors Gu Energy Labs and Drymax socks create fantastic products and are even better companies. Hoka One One has been a tremendous sponsor for me this year. They go above and beyond, are always excited and supportive of whatever I am doing next, and even with less than desirable outcomes I continue to feel like a valuable member of their team. I wore the Clifton 4s on the TRT which is smooth by trail standards. This 4th edition of the Clifton has been an amazing shoe thus far for me! I want to thank the athletes I coach who are all at least as supportive of me and my runs as I am of theirs. And you, reading this post, following along, I appreciate the thoughts, words and encouragement I get from you all along the way. Finally my wife and son are my constant companions and biggest supporters of all. Having them helps keep my focus forward continually working to be a better version of myself .